A former Google employee learned a lot about interacting with men at work from her time in tech — and she's written a satirical advice book to share her knowledge with others. Comedian Sarah Cooper spent over five years in the tech industry, in which she frequently came up against the additional challenges women face in the workplace, particularly male-dominated ones. She's now turned those experiences into a funny illustrated best-seller called How to Be Successful Without Hurting Men's Feelings. Cooper told Business Insider that every scenario addressed in the book was inspired by a true story, either from something she experienced or something that happened to friends or co-workers. 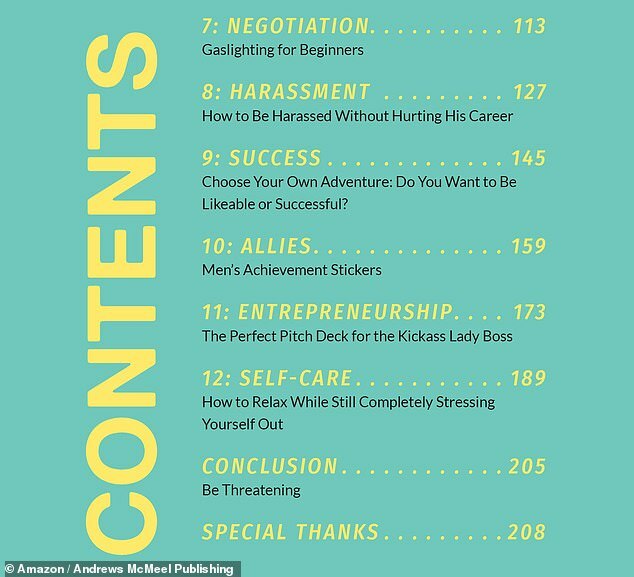 Over 12 chapters, she doles out tongue-in-cheek advice for women who want to appear 'less threatening' to men at work, navigate sexual harassment, and get their ideas heard in a way that doesn't upset anyone's ego. 'Ambitious women are scary. In this fast-paced business world, female leaders need to make sure they're not perceived as pushy, aggressive, or competent,' reads the book's description on Amazon. Funny chapter titles give a hint as to what's in store for readers, and the kind of maddening lessons they can learn inside. 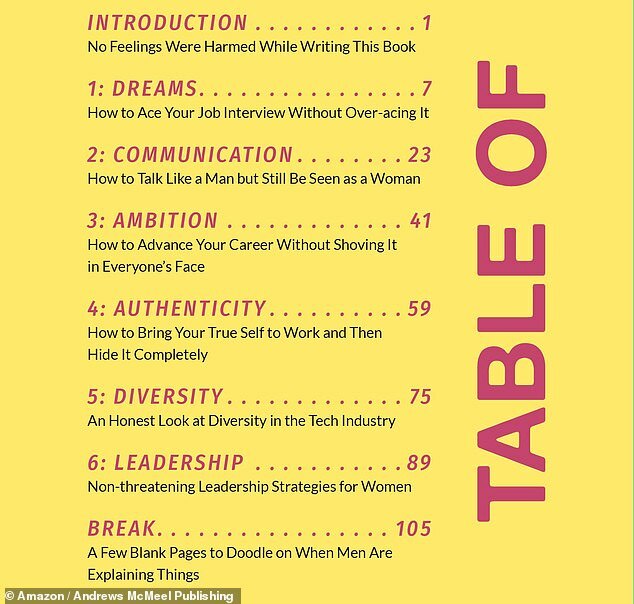 Each chapter ends with a list of 'inaction items' which are 'designed to challenge women to be less challenging'. Some of the advice is illustrated, giving readers a look at the best approach for them to take in a given situation. 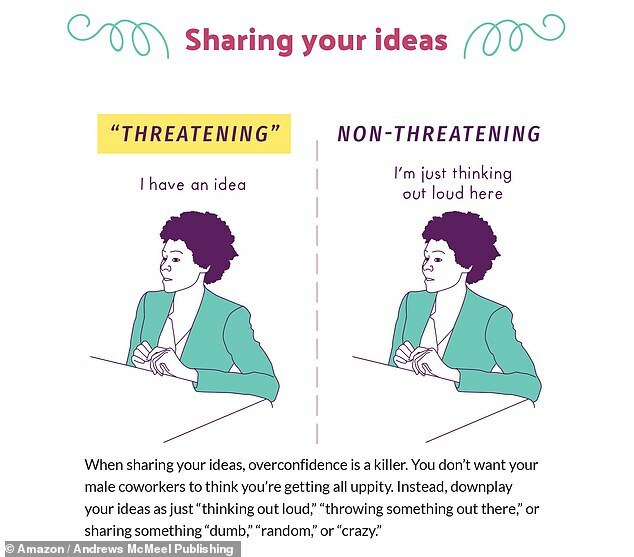 For example, prefacing a pitch with 'I have an idea' can be 'threatening,' while starting with the phrase 'I'm just thinking out loud here' is non-threatening. 'When sharing your ideas, overconfidence is a killer,' the guide explains. 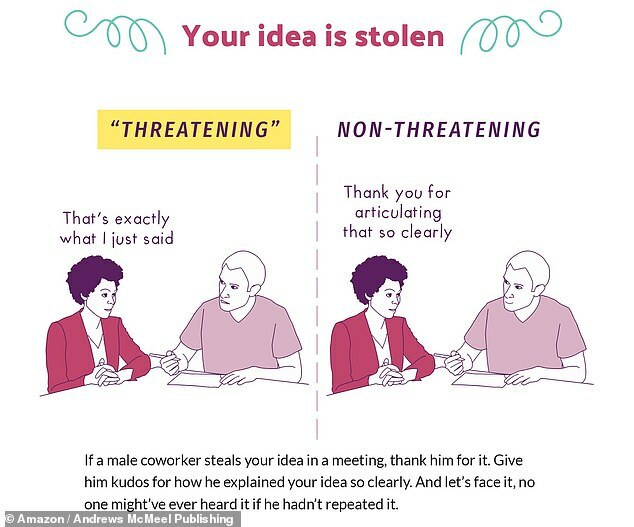 'You don't want your male coworkers to think you're getting all uppity. 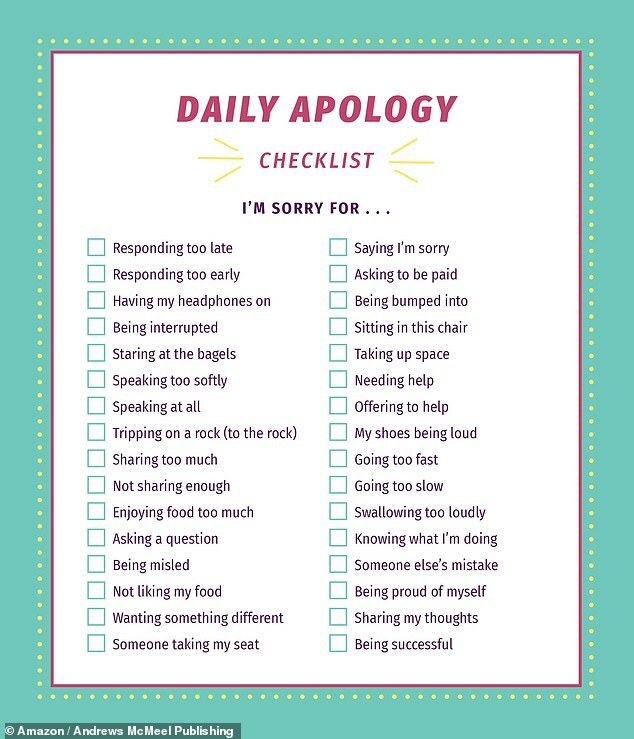 Instead, downplay your ideas as just "thinking out loud," "throwing something out there," or sharing something "dumb," "random," or "crazy". 'This will cancel out any need to change their leadership style. 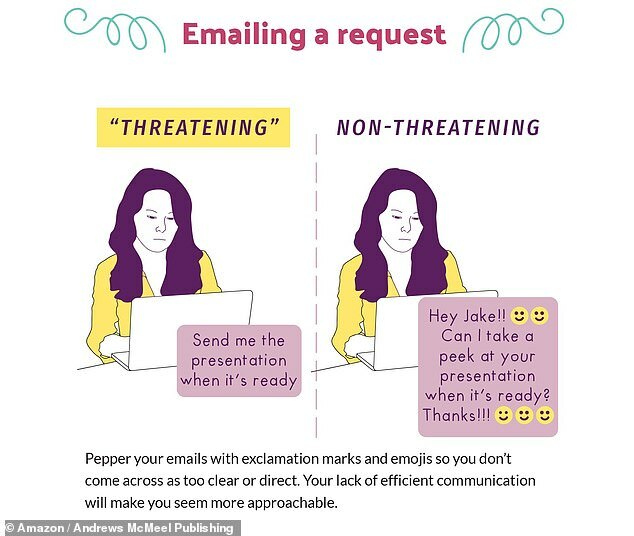 In fact, it may even lead to a quick promotion!' it says. Cooper, who spent most of her five-plus years in tech at Google, said most of the experiences in the book came from her time at the company. 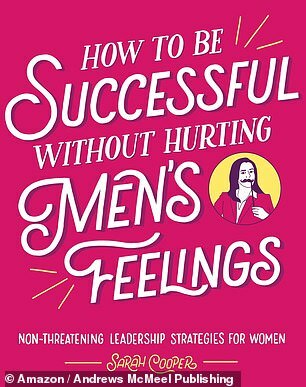 'How to Be Successful Without Hurting Men's Feelings was sparked from all the things I did at Google to seem more likable and approachable, like being less direct with feedback and using all those smiley faces in my emails, as well as the double standards I saw between my male and female coworkers,' she told Business Insider. 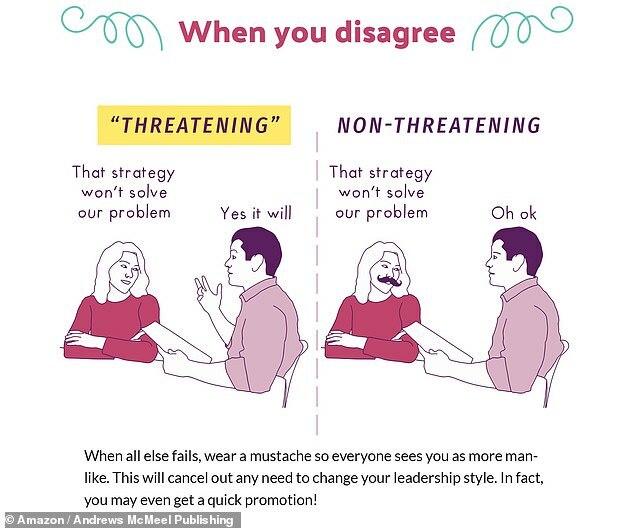 The book actually started with a blog post, called '9 Non-threatening Leadership Strategies for Women,' which went viral — and ended up as a chapter in the book. At the end of the day, Cooper said, she hopes what women will take away from this — besides laughter — is the security of knowing they're not imagining their experiences.